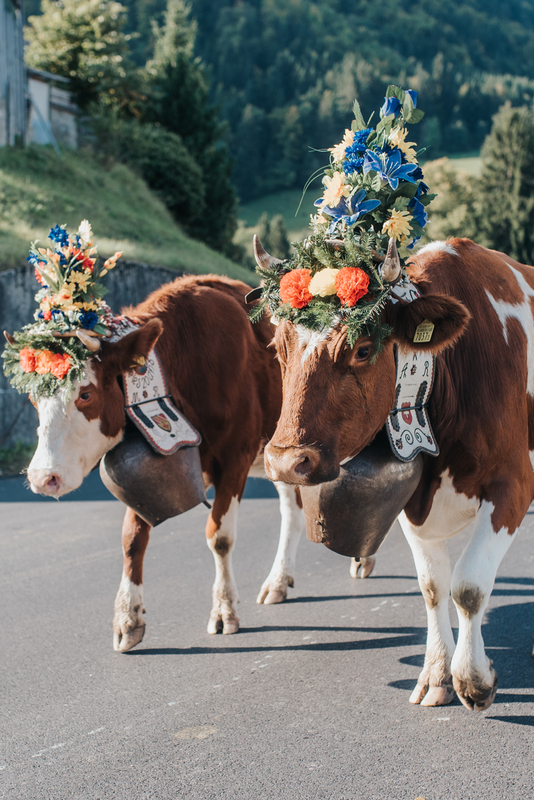 One of the top activities I had to see in Switzerland was the annual cow descent. There are numerous throughout Switzerland but we chose Charmey - a french speaking town in the canton of Fribourg. 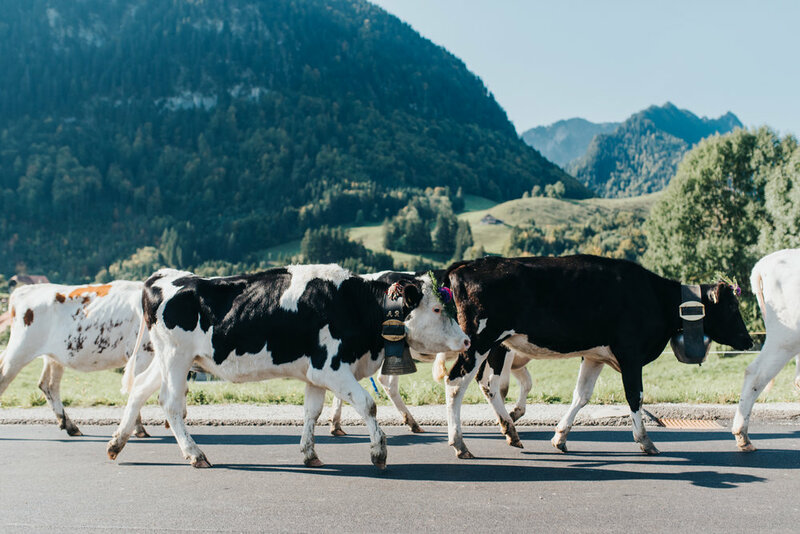 The cows here make the tasty, world renowned Gruyere cheese, and is said to be one of the best festivals around. The descent has been taking place each year for centuries, and the festival in Charmey has been running for almost 40 years. After 100 summer days grazing in the Alps, the farmers return the cows to their valley pastures before the winter arrives. Apparently these cows produce over 3,000 tonnes of cheese every summer. 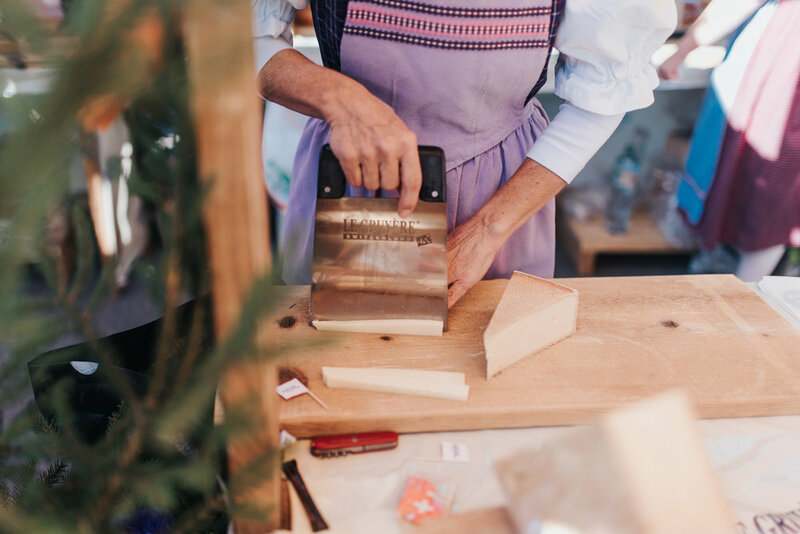 Alpine cheese is highly prized due to the quality of the milk - the cows graze on only grass and herbs which gives the milk and cheese a great taste and excellent quality. We ended up getting a hotel in Fribourg as the Charmey hotels were all booked out. A sign of how popular this festival is. We made our way early to charmey village via train and bus. The first group of animals came shortly afterward. Crowds and TV Stations watched on as the cows (and some goats) were celebrated, adorned with flower headdresses and cowbells. 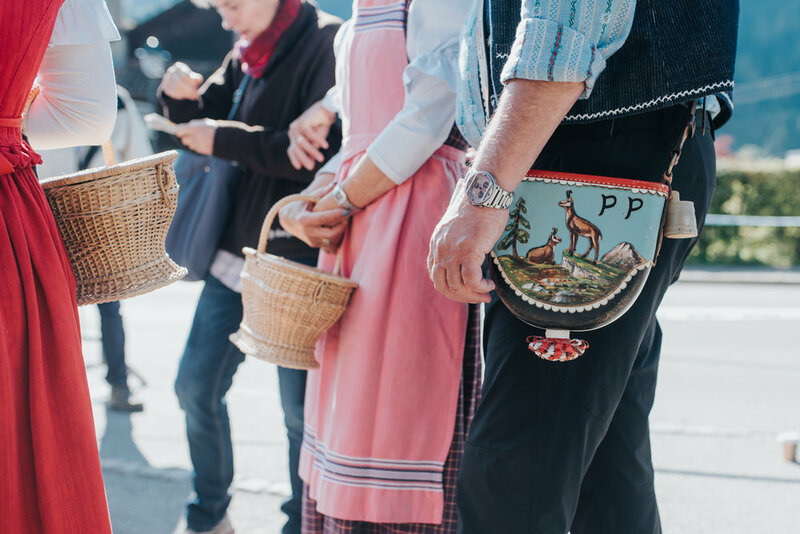 The farmers wear traditional dress including hand-stitched leather satchels (which the farmers apparently keep salt for cheese-making). There were also many stands for wine, crafts, and of course - cheese! Alphorn players and brass bands entertained the crowds as the cows, horses and goats made their way through the village. Traffic was backed up as the cows took precedence. I felt like a had a true Swiss experience and I hope many others get to see it! I made a little video from some of my photos and video clippings which hopefully give you a good glimpse of what the day is like.